May 21, 2012 March 17, 2015 / Julie Brook, Esq. Another sad family drama is playing out in public because of its connection to a celebrity: Forbes.com reports that actress Reese Witherspoon’s mother is suing to annul the bigamous marriage entered into by her husband, Reese’s father, Dr. John Witherspoon. Reese’s mother fears that her father is suffering from early-onset dementia and claims to be using this lawsuit to protect him from his new “wife.” As the article explains, suing to annul the marriage may not be the best way to protect Dr. Witherspoon; instead, this may be an appropriate situation for a conservatorship. A conservatorship is a protective court proceeding. 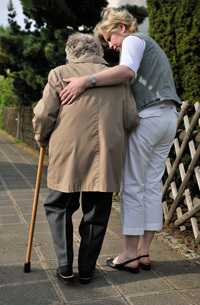 In a conservatorship of the person, a court-appointed fiduciary, the conservator, manages the personal care of a person who cannot properly provide for his or her personal needs for physical health, medical care, food, clothing, or shelter. See Prob C §1801(a). The conservator decides where the conservatee lives and may be required to decide whether the conservatee should live at home or in an institution. The establishment of a conservatorship shifts the responsibility for making financial and personal care decisions from the conservatee to the conservator, and imposes significant limitations on the conservatee’s ability to act on his or her own behalf. Because the establishment of a conservatorship significantly curtails the conservatee’s rights, the court may not appoint a conservator unless the need for one is established by clear and convincing evidence. Prob C §1801(e). The court must review the conservatorship periodically to ensure that it remains in the best interests of the conservatee. How do you know if an involuntary conservatorship is appropriate in a given situation? Does the proposed conservatee have legal capacity. All persons are rebuttably presumed to have the capacity to make their own decisions and be responsible for their actions. Prob C §810. The petitioner must establish by clear and convincing evidence that the proposed conservatee lacks this capacity before the court will appoint a conservator. Prob C §§810, 1801. Your analysis should be guided by the Due Process in Competence Determinations Act (DPCDA) (Prob C §§810-813, 1801, 1881, 3201, 3204, 3208). Is the proposed conservatee subject to fraud or undue influence? If the petitioner can present clear and convincing evidence of the fraud or undue influence and can show that the proposed conservatee’s mental function deficits prevent him from resisting further wrongdoing, the court should appoint a conservator to protect the proposed conservatee and, if necessary, to redress the wrong already committed. Prob C §1801. Are there alternatives to a conservatorship? If there’s a reasonable alternative to conservatorship available, it should be used, provided the proposed conservatee will be sufficiently protected. A petitioner other than a bank or trust company must inform the court of alternatives to a conservatorship that have been considered and why they are not available to the proposed conservatee. Prob C §1821(a)(3). The Confidential Supplemental Information declaration (Judicial Council Form GC-312) specifies alternatives that the petitioner must address, namely durable powers of attorney, trusts, and the voluntary acceptance of informal or formal assistance. Unfortunately, attorneys may not be familiar with conservatorships until faced with a situation that seems to call out for one. Don’t worry, CEB has got you covered! 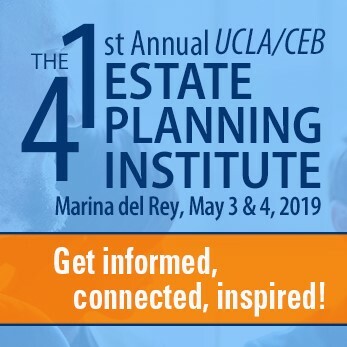 Get the comprehensive practice guide that the best estate planning and elder law practitioners use: CEB’s California Conservatorship Practice. Also check out CEB’s program Elder Law: Remedies for Financial Abuse, which covers conservatorship issues.